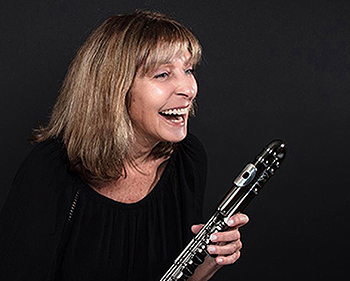 Ali Ryerson consistently ranks among the top flutists in the Downbeat Jazz Poll. Born in New York City, her father Art Ryerson was a renowned jazz guitarist who started with the Paul Whiteman Orchestra. Ali became an international touring / recording artist, with performances from Carnegie Hall, to Blue Note, and to festivals worldwide. Ryerson has released nearly two-dozen albums as leader or co-leader on major jazz labels, and has recorded and / or performed with jazz greats like: Stephane Grappelli, Red Rodney, Hubert Laws, Art Farmer, and Kenny Barron.